Hearts get broken all of the time. My dad's broke this weekend on a float trip in the middle of Nowheresville Missouri when he started feeling chest pain. Doctors told us later that this was the beginning of a severe heart attack that nearly killed him. Mine broke today when I saw my strong, reflective, and unbreakable daddy sitting in his hospital bed fearing for his life as he anticipated open heart surgery. Tomorrow he goes under the knife to fix what has been broken. 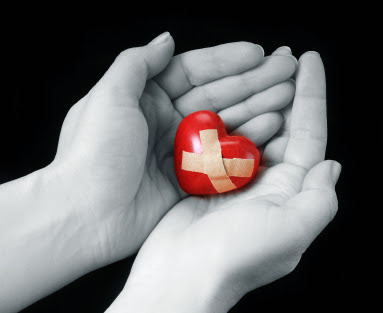 Unfortunately, there is no simple surgery that heals the kind of breaks in the hearts of my family members as they have watched the recent events unfold...it is not as simple. It's not just a clean cut, and stitches, and 6-8 weeks of recovery. Healing these breaks requires something much more complicated. These kinds of breaks require a vast network of community that makes meals and takes your dog out when you can't. These kinds of breaks require text messages from dear friends from all over the country. These kinds of breaks require prayers...and in this case, prayers not just from all over the US, but all over the world. All up and down the country of Mozambique people are praying for my dad's surgery, and for my family, and for a peace that passes all understanding. In languages I cannot even understand, I have received prayers. It's not as simple as surgery, it's much more complicated and much more beautiful. I ask for your prayers, near and far, for tomorrow. Prayers know no distance, and they heal a multitude of things that are broken.